point is a series of lakes in Australia. These photographs are from when the lakes had a extremely high concentration of dinoflagellate that feed on algae, plankton and bacteria. The phenomenon started in 2008 peaked in 2009 , however it continues through 2013. 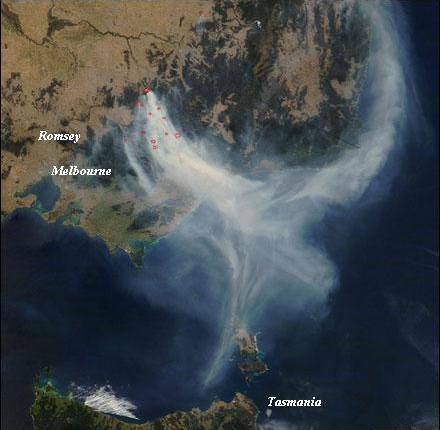 This hypothetical roots of this phenomenon of the Gippsland lakes started in 2006 when a series of brushfires in the area destroyed much of the surrounding lands. During the winter of 2007 exceptional rains hit, they caused wide spread flooding and washing ash, nitrogen and many other nutrients into the lake. That summer the lakes were chock full of Synechococcus algae which is blue green colored. 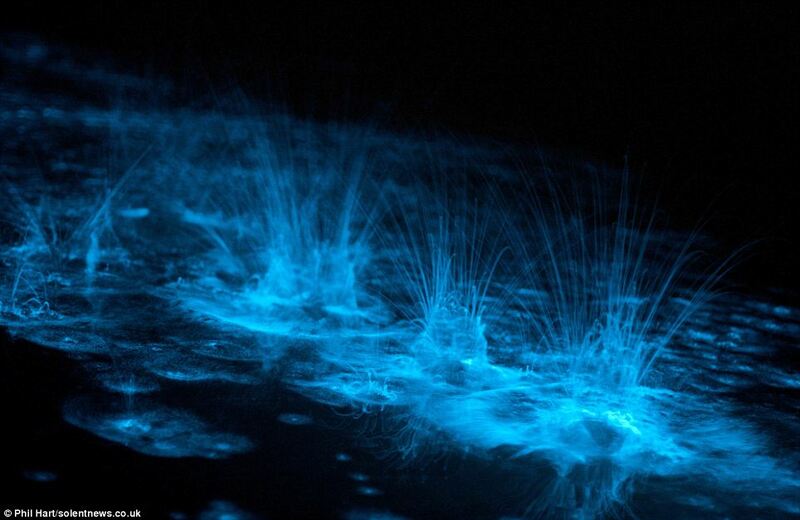 In the summer of 2008 a new species called Noctiluca Scintillans was discovered in the lake, it is a naturally bioluminescent organism that feeds on the algae. Never before has anyone seen such concentrations of either species. 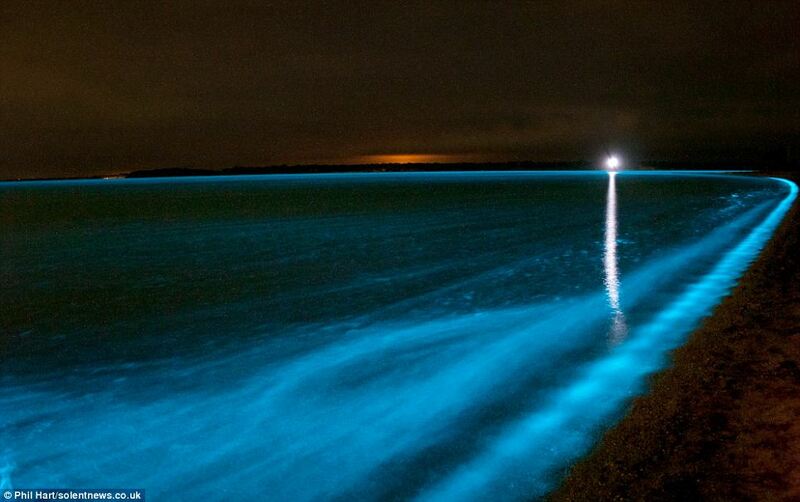 Although the clumps of algae appear rust red during the day, at night they glow along the lakeshore or anywhere people go and splash around. Supernatural / Crypto zoology / Paranormal connections. Is it possible a natural occurring phenomenon, that acts so different under different conditions, has some possible connection to the paranormal ? 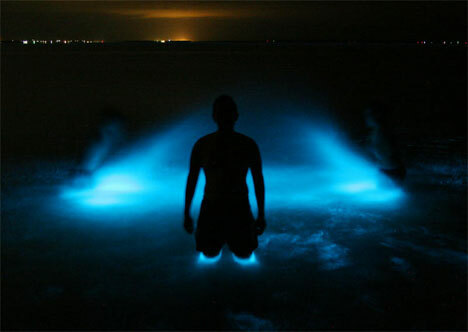 Under real life conditions the glow appears, but not as intense or blue. It is only when it is captured on film or digital recording devices that the full extent of the phenomenon is known. 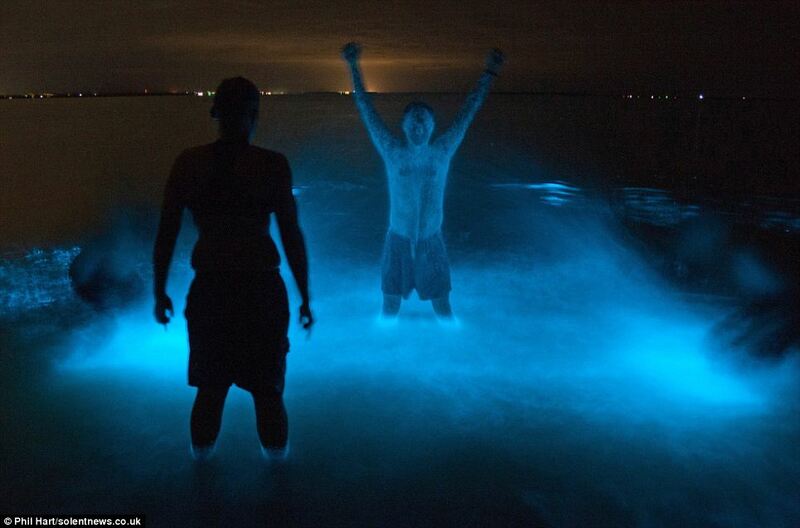 Also in real time the glow is just light, the blue is only reveled when the image is recorded. This is interesting evidence to support that that sort of thing is possible. It is interesting to note, this phenomenon only really started in 2008, and has greatly diminished in the 5 years since then. Could this mean that some other odd phenomenon that are recorded, but then unable to be reproduced have any less chance to be real. Imagine this was 1008 or even 1808 and was described by an eyewitness, without any pictures. Would modern scientific researchers believe it. Or would it be dismissed because it never really happened. There are many reports of paranormal happenings that start and stop for no apparent reason. Even this cycle of events that caused this measurable and real world phenomenon are up to speculation. No one is sure exactly how long this will continue or fully how it came about. We have this story posted on our facebiook page if you have anything to add or correct about this subject, please stop by the face book page. If you cannot find the story in the feed, go into the timeline photo album and look for the picture of the big blue man.